Nearly a decade has passed since the first Wolf Creek was released. Given the amount of time that has elapsed, it is unsurprising that Wolf Creek 2 differs considerably from its predecessor. This is not simply a rehash with alternative characters. The film does follow a similar "trapped in the outback with Mick" plot, but the overall tone is far less sinister. Rather than ratcheting tension, Wolf Creek 2 dives in reasonably swiftly and is built around distinct start-stop set pieces that peak and lull. Subsequently, the 105 minute run-time drags. The inclusion of counter-pointed music and unconvincing CG kangaroos were also unwise choices insofar as they disrupt the horror. 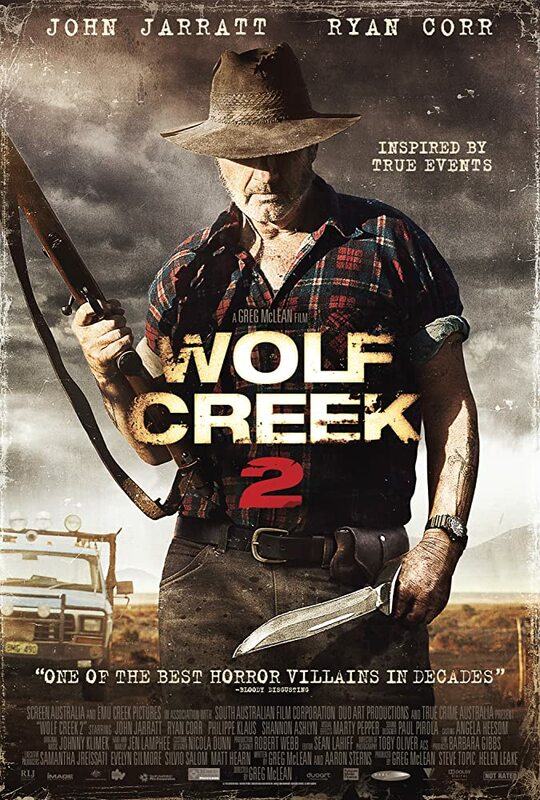 Not overtly bloody enough for the gore-fiends, not scary enough for the screamers, not tense enough for the thrill-seekers, not silly enough to be fun, Wolf Creek 2 is a mixed-bag that does not quite come together.